Fun, free accessories your kids can craft. Do you have an American Girl doll fan in your life? I know my little fans are super excited to meet Blaire Wilson, the new American Girl from right here in the Hudson Valley! Blaire is an animal lover just like my little girls and she is very outgoing and helpful to her parents. Not to mention, she is surrounded by the beauty of the Hudson Valley too. 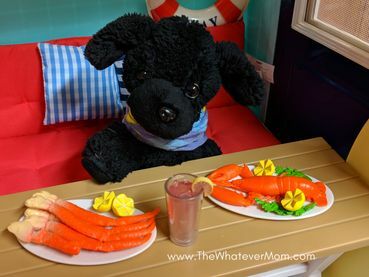 After reading her blog and stories, my girls can easily imagine themselves living in a farm-to-table bed and breakfast just like this brand-new AG character. It’s fun to read familiar town names and some of our favorite locations among these stories. This week’s craft is inspired by our new AG friend and our love of animals. More specifically, our love of stuffed animals. Every pampered pooch needs the perfect winter accessories if they are living in the HV. 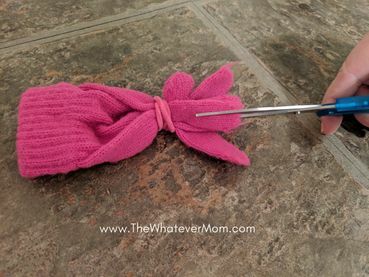 Below you will find the steps to take to make a couple of quick crafts out of those stray socks and an outgrown winter glove you might otherwise toss. 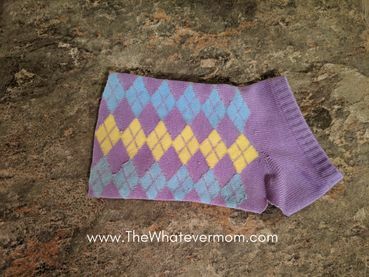 Use an ankle sock (youth size works best) as the base for your pet’s sweater. Cut the toe end of the sock off and cut a triangle shape from the heel of the sock for your animal’s tail to fit through. 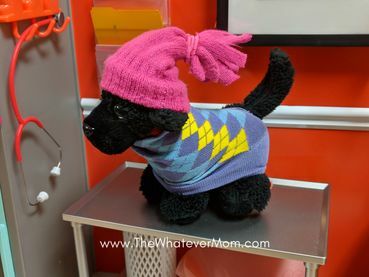 Pull the sock over the top of your prized stuffed pet, pull the tail through. Tuck the neck line in a bit to finish the sweater. Here is our pup modeling his new sweater during a meal after his chilly walk on the Hudson. Next your pup (or kitty) will stay warm and stylish with this super cute winter hat. You will need an old glove, a hair tie and some scissors. First, wrap the hair tie around the fingers of the glove to secure in place. This will create a pom-pom for the top for the hat. Next, cut straight down the center of each finger and then snip the finger-tips off the glove. Fluff it up to make the ends stand out more. That’s it! You have two new cute accessories for your tiny pet, and it didn’t cost a single penny, there is no mess and you can complete both crafts in less than 3 minutes. You can include the kids in on the fun, or craft for yourself and surprise them later. Either way, your kiddos will be so excited to create these tiny outfits. Here our pup wearing his new ensemble during his vet check.